The American Dental Hygienists’ Association has a helpful illustrated guide to brushing available on their web page. You should brush two or three times a day for 2-3 minutes each time. Remember to focus on every surface of your teeth—chewing surfaces, front, and back sides where your tongue touches. If you have reconstructive dental work, you may have difficulty getting everywhere. The next time you see Dr. Burds, ask if you’re brushing is working for you. We are always happy when clients ask about better oral care practices! The best times to brush are in the morning before you have breakfast, and in the evening just before you go to bed. If you haven’t had a chance to rinse with water or chew sugarless gum after lunch, brush when you get home from work, before you have dinner. Contrary to some opinions, you shouldn’t brush right after meals. The acids in many foods and beverages, as well at the acid produced by cavity-causing bacteria when you eat sugar, leave enamel temporarily softened. This weakened enamel can be damaged by vigorous brushing, so wait at least 30 minutes after eating to brush. Food stuck between your teeth should be removed by flossing or rinsing vigorously with water. Don’t forget to floss daily and use mouthwash if Dr. Burds recommends it. 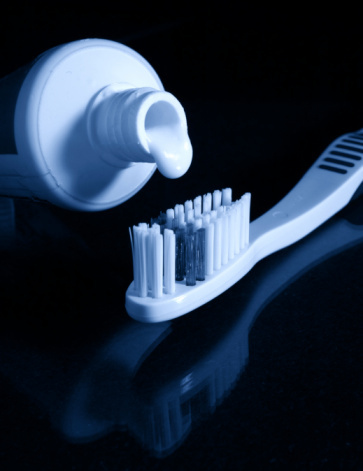 Incorporate flossing and rinsing with mouthwash into your nightly brushing routine. Remember, dental cleanings take care of what brushing can’t reach. Have you gotten a cleaning in the last six months? If not, you’re due for one soon. Call Gateway Dental Group today at (515) 244-9565 to schedule your next checkup with Dr. Burds. Located in downtown Des Moines, our office is near Drake University, Sherman Hill, Woodland Heights, River Bend, and Grays Lake.